If you ask large swathes of the football media, the Gold Coast Suns are either culturally challenged, marred by poor recruiting and management or even an existentially folly. 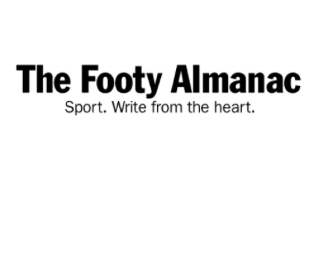 I wrote recently on the win over the Sydney Swans. Instead of a triumphal knee-jerk reaction in the media ala “Ah, the Suns have come of age!” most responses fell into the camps of “I can’t believe the Swans lost against the Suns…” or an absence of any real response at all. This has been the annus horribilus for the Gold Coast. An argument could be made that 2014 might take that mantle, given that the Brownlow-favourite Gary Ablett injured his shoulder halfway through the year, precipitating an almighty fall from aiming for top 6 to missing the finals all together. I think 2018 takes the cake though, purely for the absence of home games for 10 weeks to begin the season, injuries to many key mature players, conflation of the Suns’ woes with Tasmanian footy and the elephant in the room, Tom Lynch indicating he wants to move to a Victorian club. I feel like it’s the recession we had to have. In response to Lynch’s decision, strong statements have been made by the remainder of the playing group. Clearly playing together for this team means something to them. Others have said it was disrespectful to the former skipper to publicly strip him of his leadership role, but I disagree – handed a grenade sans pin, the team decided to throw it back to the source. I’m certain if Lynch had been more open about his intentions or had voluntarily handed the captaincy over to Steven May, future leaders such as Touk Miller would not have felt the need to react as strongly as they did. In the midst of crisis, opportunity beckons. This being the second outing for the Suns against Melbourne, the experience of their last encounter showed that the highest scoring team in the league knew precisely how to dissect the Coasters and with the scramble for finals spots on for young and old, the game had all the hallmarks of a blowout. After Peter Wright got the first look at the goals after a tightly contested opening, his kick fell short. Shortly after, the reason for this out-of-character attempt became clear – he had injured his knee in the contest. Chalk it up to the Gold Coast Sports Curse maybe? (due to finish this year, funnily enough). Clayton Oliver is Melbourne’s most talented player in the clinches, perhaps their most talented full stop. In the first quarter, he illustrated why he is so highly regarded at the Dees and why oppositions are so troubled when he has the ball. 150-game Sun Jarrod Harbrow was quick, as were several of his less seasoned teammates, but when confronted by the Demons’ mids, were just not clean enough. Max Gawn stood up in full-forward like an obelisk, drawing three opponents to his location while Nathan Jones did the smart thing and stayed down, where he gathered and goalled. Switching his own game to the forward line, Oliver made an immediate impact by kicking a goal; he’s truly a star of the game. While the Suns defense was under enormous pressure early, given the absences of May and Buddy-beater Rory Thompson, they acquitted themselves reasonably well for the first 10 to 15 minutes. But the deluge could only be withheld for so long – despite looking fine when the ball was in dispute, the Suns couldn’t keep up with Melbourne upon the latter team’s lightning crisp transition from contests. Subsequently the Demons put on a clinic as they registered their highest opening term score all year and for the best part of this century. The mountain in front of Gold Coast made Everest look tame. Both teams made mistakes to start the second term; while the Suns didn’t seem overly menacing to the heavily pro-home team crowd, the Dees were quite wasteful. Alex Sexton broke the deadlock with a goal, but James Harmes countered immediately afterwards. Still not cowed, the Gold Coast actually started the third the better performed side, using both wings to great effect and led the scoring for a while, before Jesse Hogan came into his own to prove the difference in an otherwise arm-wrestle of a term. Sexton added a fifth goal in the last, the sole highlight as the battered and bruised Suns desperately tried to limit the deficit that approached three figures. They may not have conquered the mountain, but they did themselves no disservice in the way the went about climbing it. Sexton was a standout with his bag of five, but all over the field from Harbrow to Lachie Weller to Callum Ah Chee to Pearce Hanley to Will Brodie the Suns never said die and kept the margin against the rampaging Demons to under 100 points when at quarter time anything under 25 goals would have been seen as acceptable. 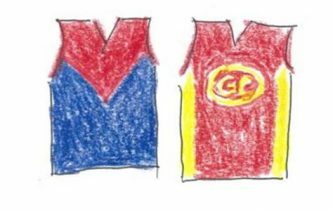 Each line of the field was missing at least one player good enough to be first 22 for the Suns – that such a hobbled and often humbled side stood up to a Melbourne outfit that would have beaten many teams comfortably is a testament to their spirit. As hard as it may be to believe, in the midst of this crisis, opportunity still beckons. Jarrod, I really hope the Suns’ players are rallying around the cause. They need to. Whilst elsewhere I’m expressing skepticism about the whole expansion exercise, it would really be a terrible waste of money and football talent for it not to work. After the thrillers on Saturday, this game and Carlton/GWS really brought things back down to earth.